On February 3 at approximately 5:00 a.m. the Calcasieu Parish Sheriff’s Office responded to a call in reference to a shooting at a night club located on Highway 90 East in Lake Charles. Upon arrival deputies learned there were two men that had been arguing in the parking lot and began shooting at each other. 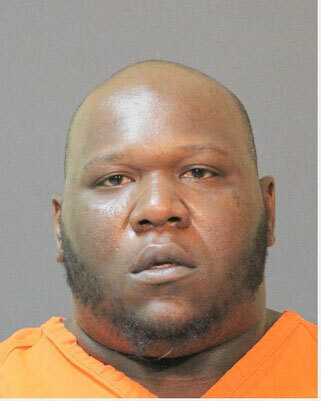 Once on scene, deputies located one of the men, identified as Kato J. Harrison, 29, 1219 N. Simmons Street, Lake Charles, near the area of the shooting with a gunshot wound. He was transported to a local hospital for treatment. While still on scene and being treated by emergency medical personnel, a small bottle with what is believed to be PCP, was located on Harrison’s person. 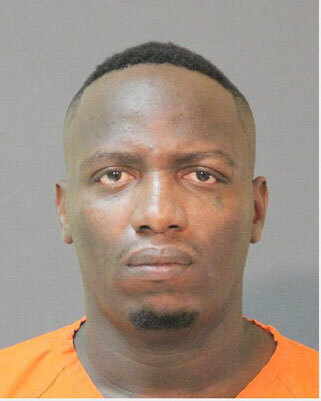 A short time later deputies learned the other man involved, identified as Thomas M. Chargois, 29, 2400 Fruge Street #604, Lake Charles, had been dropped off at a local hospital with a gunshot wound. After a search of Chargois’ truck, which was still at the scene of the shooting, detectives located a small plastic bag of suspected marijuana, a small plastic bag of suspected oxycodone, 2 small bags of suspected crack cocaine, 1 small bag and 1 large bag of suspected powder cocaine. Detectives also located a car at the scene of the shooting that had been shot twice. Harrison was transferred to a hospital out of town, pending his release he will be arrested and charged with attempted second degree murder; possession of a firearm by a convicted felon; and possession of CDS I. Chargois was arrested on February 7, after his release from the hospital, and booked into the Calcasieu Correctional Center and charged with attempted second degree murder; possession of a firearm by a person convicted of domestic violence; possession of 400 grams or more of cocaine; 2 counts of possession with intent to distribute CDS II; possession of CDS I, and aggravated criminal damage to property. Judge Robert Wyatt set Harrison’s bond at $122,000 and Chargois’ bond at $172,500.